Today: A cheesy, deep-fried dessert experience from the island of Sardinia. Of all the uniquely Sardinian dishes, this is probably the best known on the rest of the Italian peninsula. 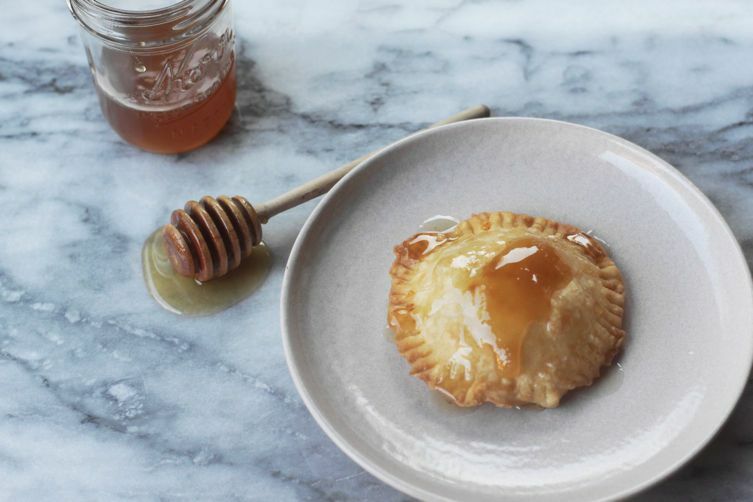 Part-pastry, part-savory, it could hold its own as an entrée but it's actually a surprising dessert: crisp, deep-fried pastry filled with lemony, oozing cheese and soaked in warm honey. Known in Sardinian dialect as seadas (or, depending on which part of the island you may be, sebadas), these were traditionally eaten around Easter or Christmas but are now found year-round. The main ingredients that set this pastry apart are undoubtedly the local Pecorino cheese, the local honey, and the delicate balance between the two; both are important products in this region's cuisine, like this Sardinian nougat, made with just honey, nuts and egg whites. The cheese typically used for these pastries is a very fresh, young Pecorino: a sheep's milk cheese in its early stages when still soft and slightly acidic, rather than hard and salty. It's unsurprising, then, to know that this dish's origins are in the pastoral areas of Sardinia's fertile center and northwest, where shepherds led their grazing sheep and would bring home fresh cheese to prepare this dish. The simple pastry is a rustic one, made with flour (or semolina) and water, with a bit of lard added to soften it to a silky smooth and elastic dough. 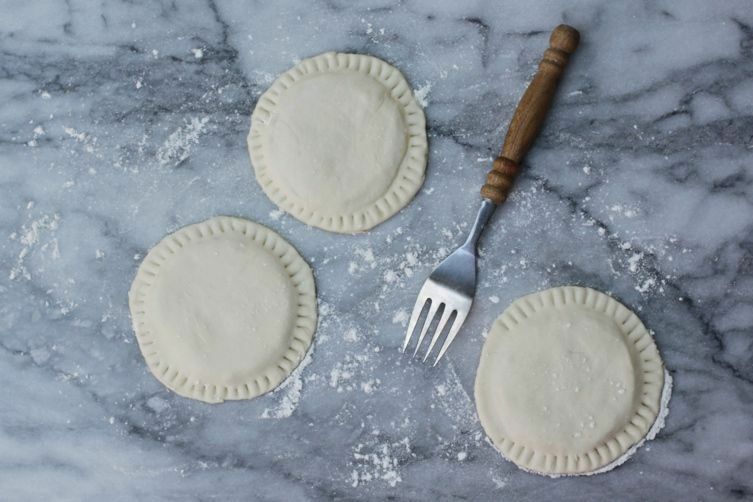 Cut into rounds, the dough, like a large, round raviolo, sandwiches the cheese, which is melted down and infused with lemon zest, then cooled and cut into perfect rounds to fit the pastry. The seada is then deep-fried in olive oil and served piping hot with warm Sardinian honey generously drizzled over the top. 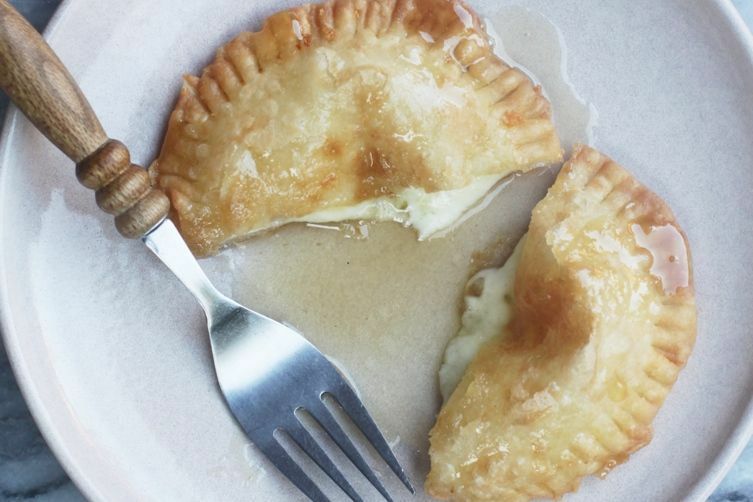 The result is a honey-soaked crisp pastry, with melting, delicately lemon-flavored cheese. Quite a superb way to end a meal. If you can't get hold of a young Pecorino for this, it would be quite unorthodox, but you could go for a soft, young asiago or something delicately, slightly acidic. In some of the island's variations, you may find, less commonly, ricotta in place of the Pecorino, powdered sugar in place of the honey, or orange zest in place of the lemon. For the most similar results to a real Sardinian seada, try an orange blossom honey or a wild herb honey, such as thyme. Some also prefer the slight bitterness of a chestnut honey.